This is a pretty interesting bike, in my opinion. 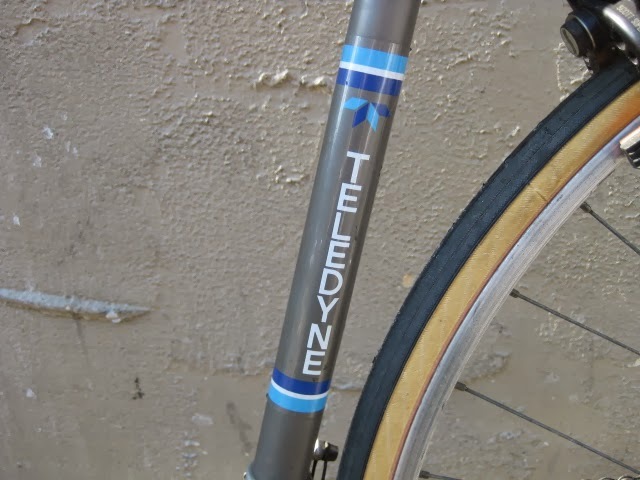 The frame and fork were produced by Teledyne Linair Co. in Gardena CA. 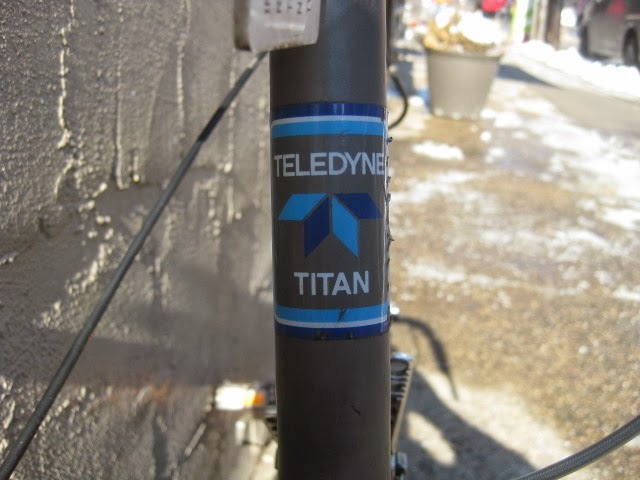 Fewer than 2000 Teledyne Titans were made from 1973-1976. 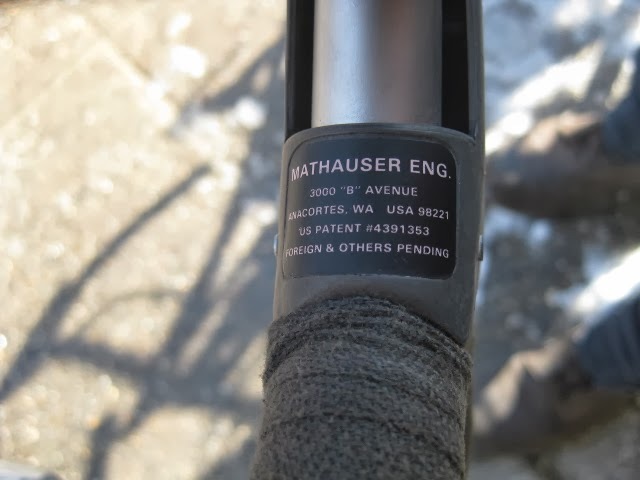 These were among the first production titanium bikes made, along side Flema (Germany) and Speedwell (U.K.). 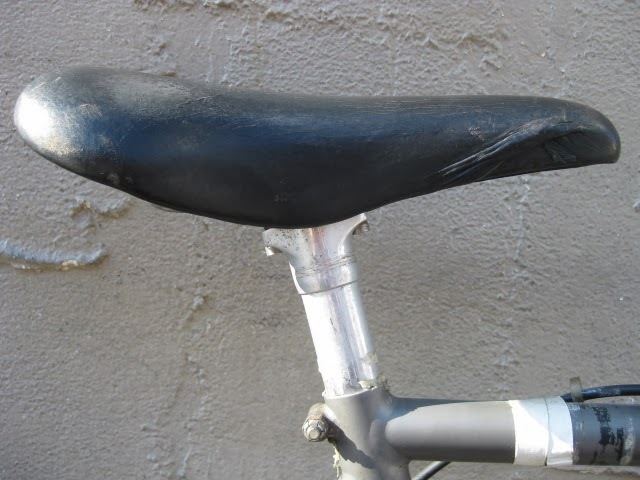 These bikes really ushered in a new age of American “super bike”. 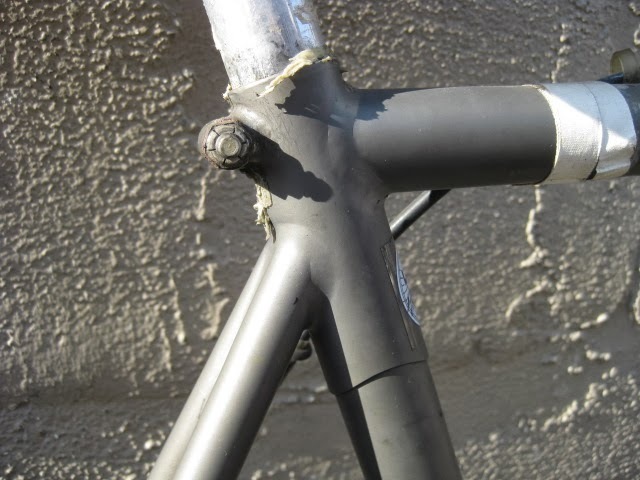 We take for granted that titanium is so widely used now in the cycling industry in both frame construction as well as components. 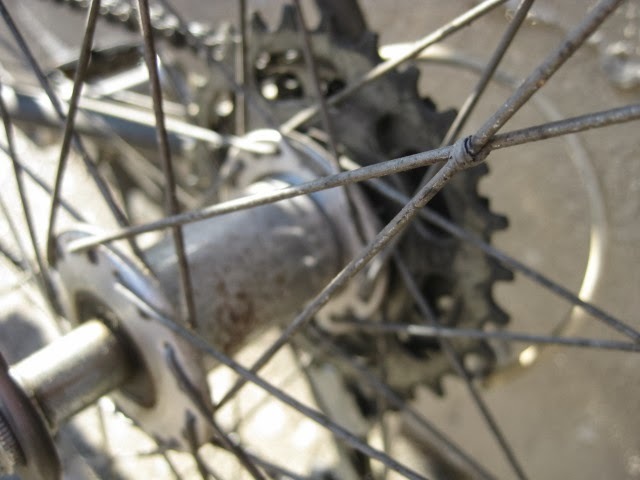 Well, this bike is an example of the root of that modern technology and deserves to be acknowledged. 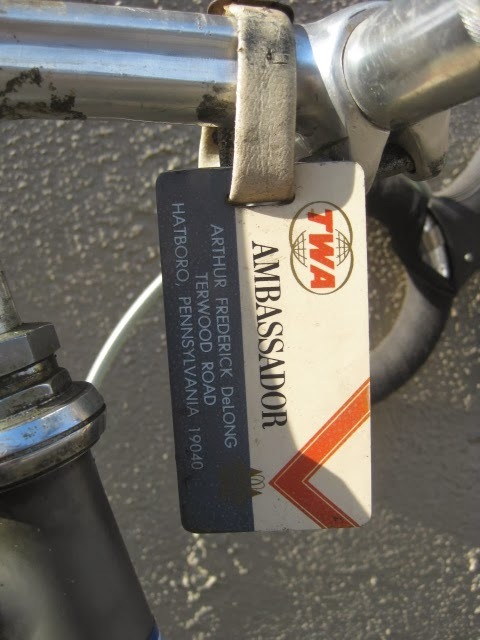 Add to that the fact that this particular bike once belonged to Fred De Long, and you have an interesting story. 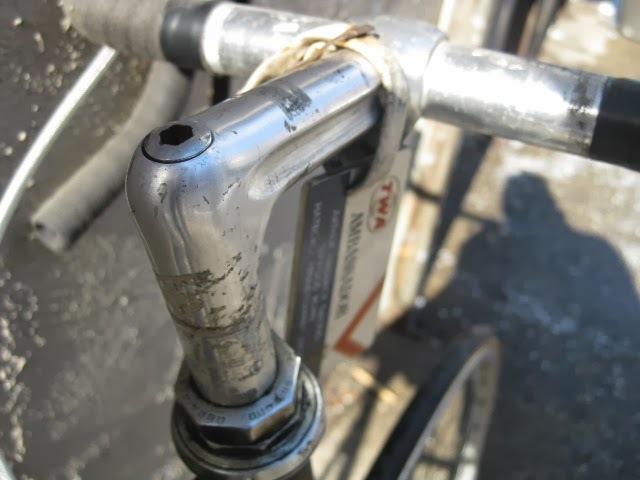 Fred De long was the Technical Editor of American Cycling, American Bicyclist, and Bicycling magazines. 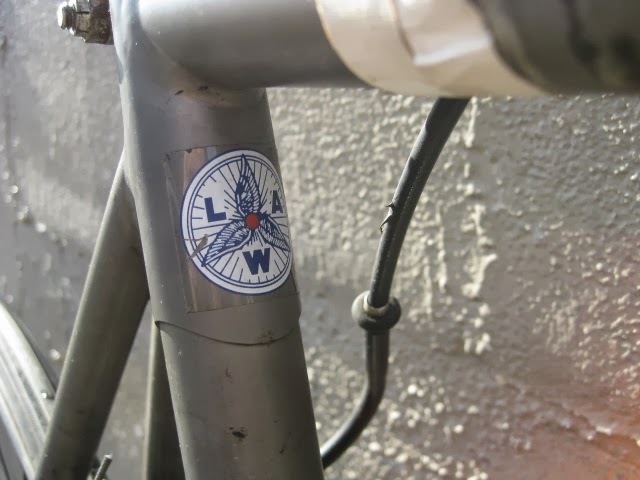 He was also the vice-president of the League of American Wheelmen (LAW). He was a professional engineer who had a life long love affair with the technical, as well as the recreational side of the sport. 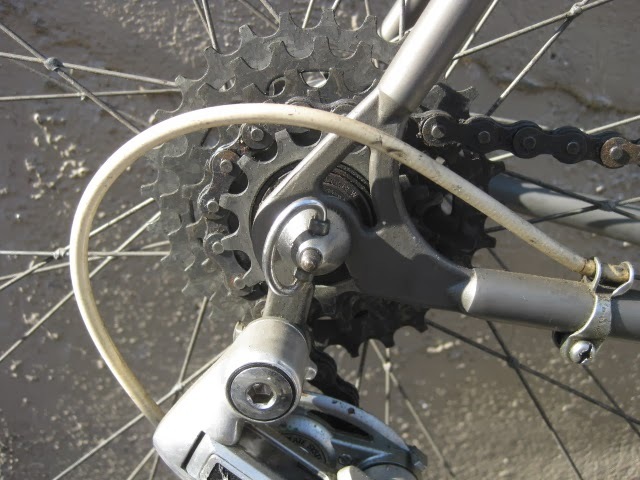 He was a technical consultant and project coordinator for the service and repair manual of the Bicycle Manufacturers of America. 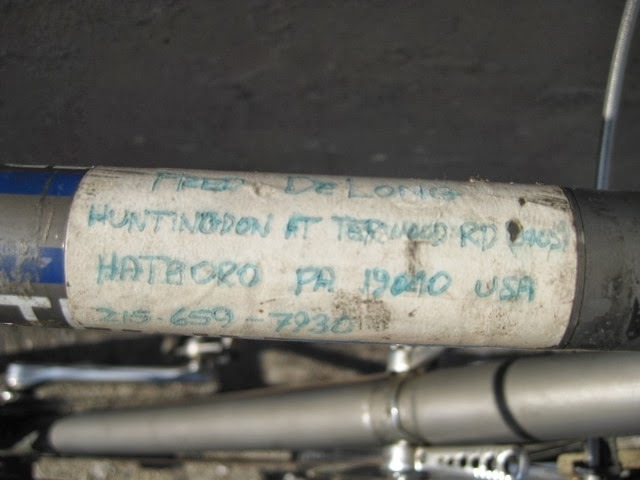 Fred De Long also resided in Hatboro, PA., not far from Philadelphia. He is deceased, but his legacy lives on. 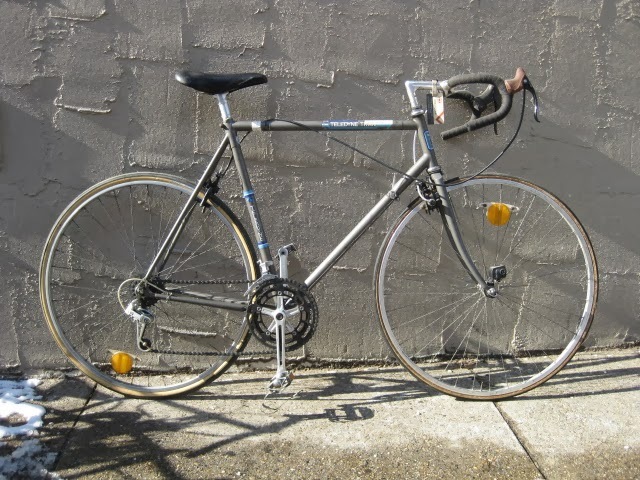 He wrote a very popular book that was published in 1974 titled De Long’s GUIDE TO BICYLES & BICYCLING. 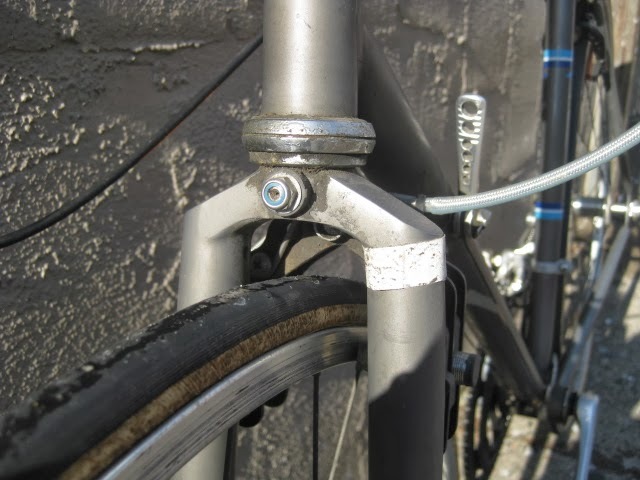 It covers all aspects of the sport, from racing to touring, set up, and maintenance. All in a very user friendly format. When I was first learning about bikes, this was the book i read along side THE CUSTOM BICYCLE. 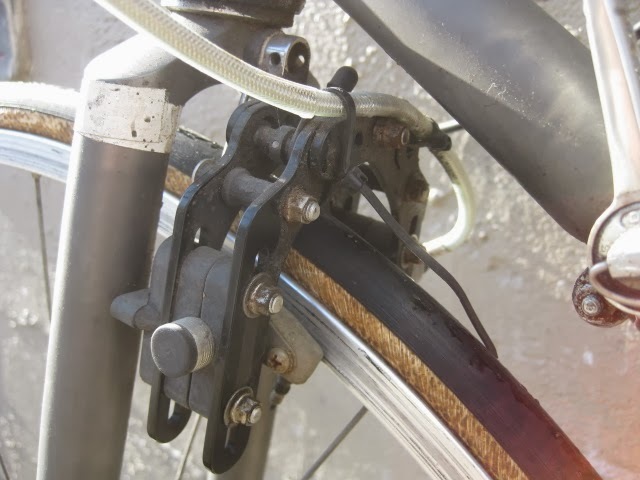 The bike has some interesting components. 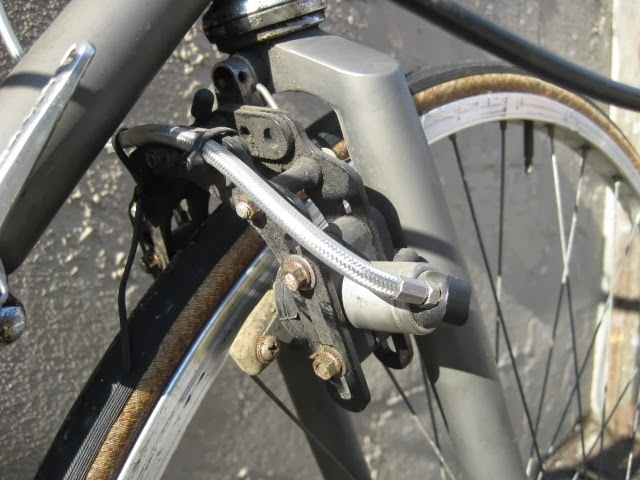 The front brake is an early Mathhauser hydraulic brake. 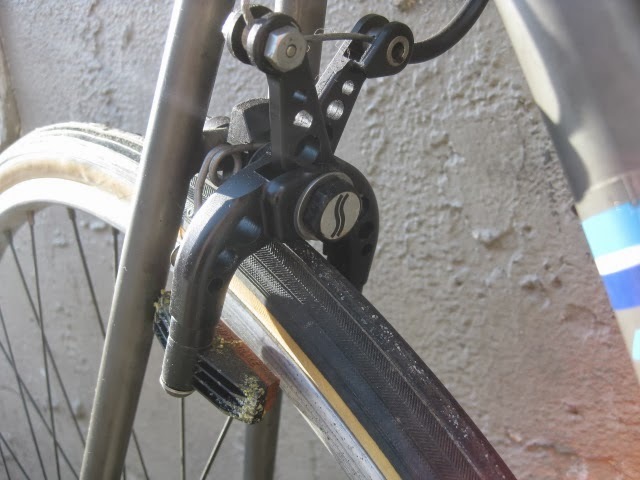 The rear brake is a Scott Super Brake, both unique early designs. 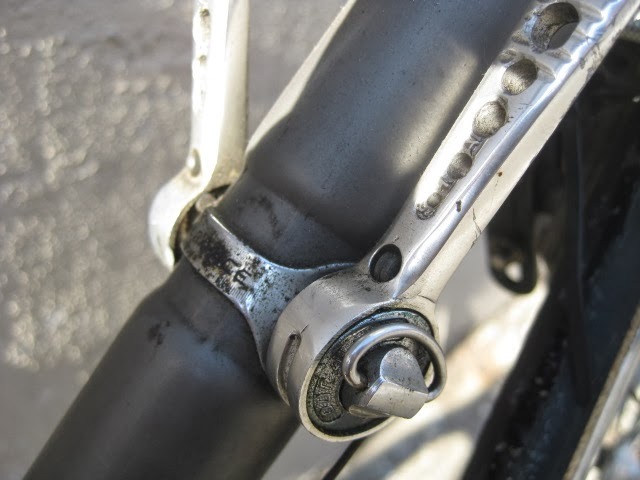 The bike is also equipped with a mixture of early Dura Ace components. 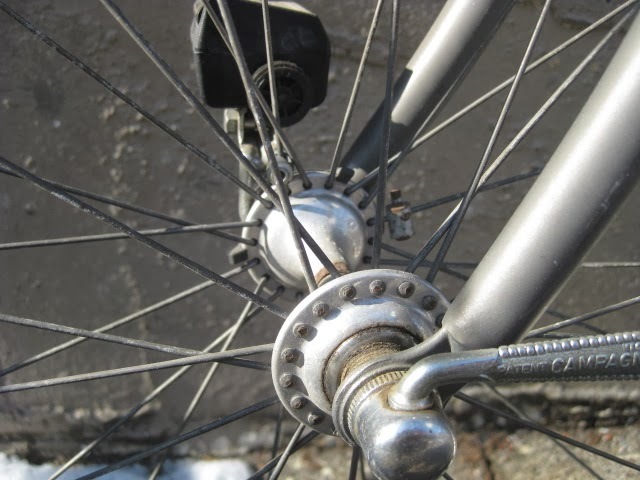 The rear wheel has an early Phil Wood hub with tied and soldered spokes for a more rigid wheel and the front wheel is a Campagnolo low flange record hub with crow’s foot lacing. 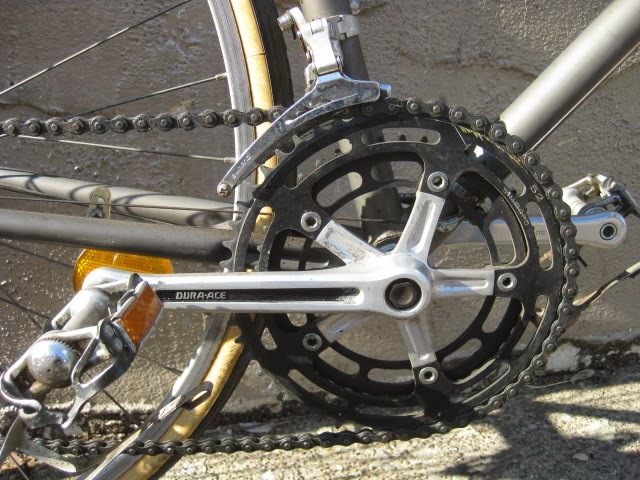 A long cage rear derailleur with a more touring spread freewheel is a bit puzzling in conjunction with the more “racey” wheels. 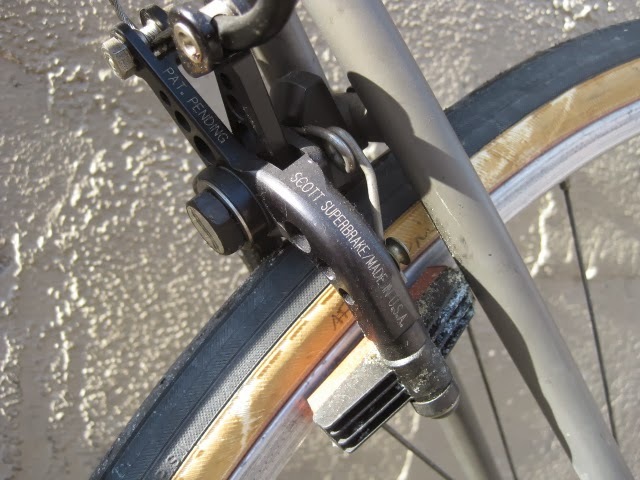 I wonder what Mr. De Long was thinking when equipping this bike? Was he experimenting with these new components? I am sure there was a good reason as he was always looking for new and innovative ideas. It is humbling to work around and investigate his bikes. I have a lot of respect for the work he did to further the sport that we love. Enjoy! Guess what? 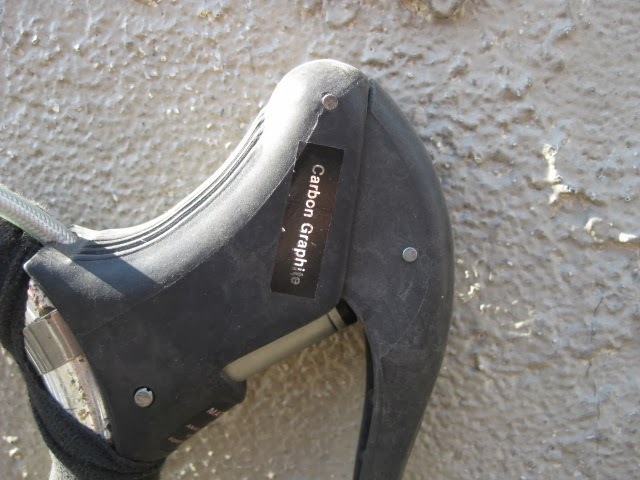 I have the Teledyne Titan that once belonged to Jack DeLong (Fred's son). Serial no. TL 000171. 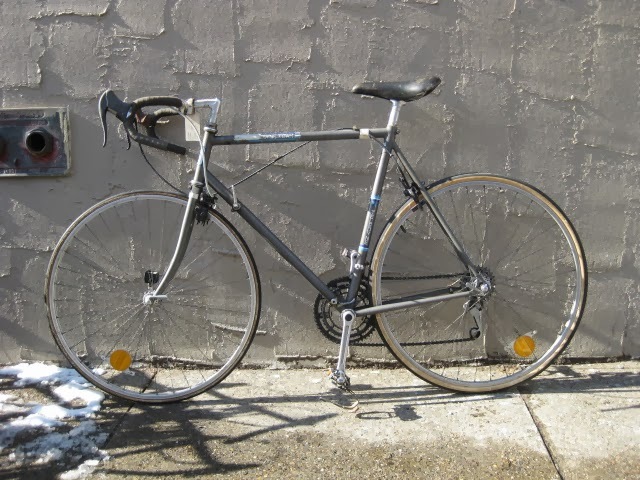 I worked with Jack who sold/traded the bike to another coworker who then traded it to me for a Holdsworth frame.